In​ 2015, the Nobel Memorial Prize in Economic Sciences was awarded to Angus Deaton for his analysis of consumption, poverty and welfare. His work, which linked individual behavior to aggregate outcomes, was praised for having helped to "transform the fields of microeconomics, macroeconomics and development economics." Deaton's ability to look outside the confines of the field and examine measures of social well-being helped shift the way we study economics. The American healthcare system is likewise in the midst of a transformation, which could take decades. The rising cost of healthcare galvanized the current transition toward payments that reward outcomes rather than volume in a quest to improve the quality and affordability of healthcare. However, despite progress on a value-based care agenda that enables care systems to provide more supportive and coordinated services to individuals, the U.S. continues to spend more than $3 trillion a year on healthcare—twice the per capita average of our industrialized peers—and yet, people in America have shorter lifespans and fare worse in many health indicators. 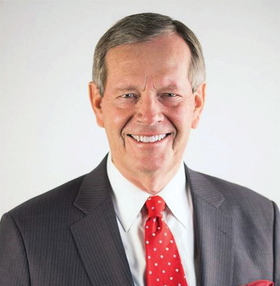 Mike Leavitt is founder of Leavitt Partners and former HHS secretary. While there is increasing awareness that what creates health is more than clinical excellence, there is still much work to do. Just like examining social well-being shifted economics, we believe addressing social determinants of health will continue to transform the delivery of healthcare and improve health. As organizations take a closer look at those populations who, despite excellent care, continue to drive costs and suffer from poor health outcomes, they learn that these populations not only have many medical needs, but they also burdened by the social determinants: "the conditions in the environments in which people are born, live, learn, work, play, worship and age that affect a wide range of health, functioning and quality-of-life outcomes and risks." These nonmedical determinants account for a significant proportion of health outcomes and, though the data are still emerging, we know that addressing an individual's or population's social determinants can improve health and lower costs. Public and private health sector leaders are actively piloting new payment and care-delivery models, digital and data platforms, and community improvement strategies that address the social determinants of health. The flurry of activity in the healthcare sector, the technology community and the business community around the social determinants of health has been welcomed by leaders from public health, social services and philanthropy who have been engaged in this work for years. However, without a uniting force, these disparate and underfunded community efforts will never gain the momentum needed to help support the transformation to higher-quality, more-affordable care. 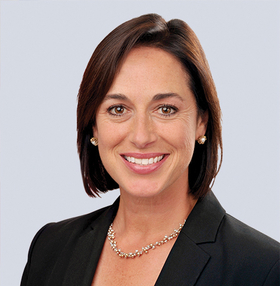 Dr. Karen DeSalvo is former acting assistant secretary for health at HHS and former head of the Office of the National Coordinator for Health Information Technology. Communities need a unifying alliance to clarify the imperative to address the social determinants; identify opportunities for shared learning and action at all levels; develop a strategic agenda of priorities for action; and, where appropriate, inform and establish a more supportive policy environment. The success, scale and sustainability of existing payment and care pilot efforts at the community level will require national, collaborative leadership to guide multisector efforts and develop policy that goes beyond identifying problems and drives action leading to health improvements. In his acceptance speech, Deaton said, "I became an economist by accident, with little formal training, an absence that I regretted for many years, but perhaps I can stop regretting now." With much work left in our journey to value-based care, we have an opportunity to start unifying efforts around addressing the social determinants of health, so we'll have no regrets later.